Sleep is important. Obvious, I know, but if you’ve ever experienced a lack of sleep, you know how big of an impact it can have on your overall health and well-being. I’ve been struggling with a sleep deficit for a while now, and over the last couple years, I’ve made huge adjustments to my entire nighttime routine in an effort to get, if not more sleep, then BETTER sleep (the Casper mattress is not hype, that sh-t is HEAVENLY). Ask me sometime about the effectiveness of sound machines, sunrise lamps, weighted blankets, and guided meditation. 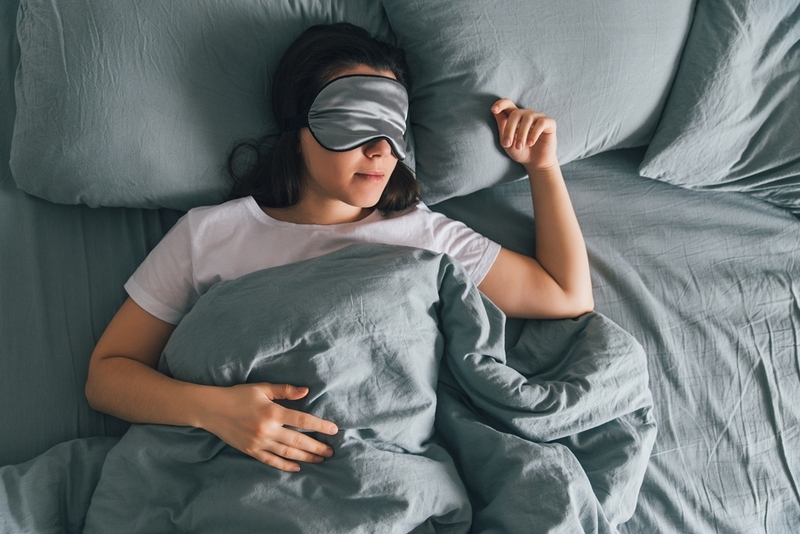 I have tried pretty much every holistic sleep aid out there, but one thing more than the others has had a noticeable impact on the quality of my sleep: podcasts. Not the regular ones. I thought it was just listening, a physically passive activity, that helped me wind down, so once I listened to an episode of Doctor Death before going to bed and ended up having night terrors. What actually works for me are podcasts focused specifically on helping you get to sleep. 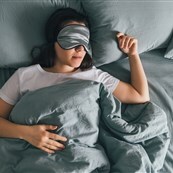 It turns out, there is an entire world of sleep-centric podcasts, and over the last couple years I have formed a list of go-tos to help me wind down and drift off into deep, sound sleep. Here are a few of my favorite sleep podcasts, which will hopefully help you have a better night of sleep. One quick note: The blue light emitted by screens is actual garbage when it comes to sleep. To listen to podcasts at night, I have a Bluetooth-enabled sound machine so I can play the podcast through it and leave my phone upside down where the light doesn’t bother me. I strongly recommend not looking at screens for at least an hour before going to bed. It really does make a difference. Story time is an acceptable way to get kids to go to sleep, but for some dumb reason, we give it up as adults. Well now you can reclaim story time thanks to bedtime-story podcasts. Some people swear by Welcome to Night Vale, it gives me weird dreams, but if you’re not susceptible in that way, the bi-monthly updates about the goings-on in the small and strange town of Night Vale are cool. But for me, the go-to is Sleep With Me. Narrated by Drew “Scooter” Ackerman, Sleep With Me features the most boring sh-t in the world read by Scooter in his monotone voice. Prone to ramblings and pointless asides, Scooter renders every topic tedious so that episodes quickly become white noise. He is TRYING to bore you, and he succeeds, more often than not. It’s like listening to your dad ramble in the car after a long day while you doze in the backseat. There is no point to anything, so if you’re waiting for Scooter to get to the point, chill out because he will never arrive. The latest episode, for instance, is about a shopping trip that has zero point or purpose. Scooter is so good at this boring-on-purpose talking that he even makes Game of Thrones recaps mind-numbing. This is usually my go-to podcast for winding down before bed, during the time between Screens and Sleep. Scooter’s meandering stories are great for tuning out while getting ready for bed, and his meandering stories work to take your mind off your own concerns and worries. Give Sleep With Me a shot here. Honestly, before my Nocturnal Anxiety began, I thought meditation was a bunch of hooey. Sitting still and going “Ohmmm” never did sh-t for me in any context, why would it work when trying to get to sleep? But it turns out, in the context of slumber, meditation is a great way to wind down and drift off into a peaceful, deep sleep. Sleep-focused meditation isn’t about achieving oneness with the universe or anything, it’s just a way to calm your heartrate and begin your body’s natural circadian rhythm. There are a lot of good sleepy-time meditation podcasts, but my favorite is Meditation Minis with Chel Hamilton. The episodes are short, generally no longer than fifteen minutes, as Chel Hamilton leads guided breathing which helps me slow down and quiet down, especially on those nights when it seems like I can’t shut off my brain. Interlaced with breathing techniques, Chel Hamilton also doles out encouragement and affirmation, which actually does help me let go of the frustrations of a bad day. Usually, I find myself dozing off before the meditation is even done, and I rarely have to repeat an exercise to get to a state of restfulness. The principle is the same as counting sheep but having someone else’s voice to focus on helps tune out your own mental noise. There are worse ways to go to sleep—ahem, Doctor Death—than with calming breathing and positive reinforcement. Check out Meditation Minis here. Disclaimer: ASMR doesn’t work for everyone. It doesn’t work for me. But a few people I’ve met through my sleep therapy swear by these podcasts designed to relax your brain through calculated sounds. So if ASMR, or autonomous sensory meridian response, works for you, the podcast with the most raves is Sleep and Relax ASMR. Episodes range from nature sounds, to restaurant white noise, to specific noises like stamping papers, bubble wrap popping, and fireworks. If ASMR works for you, or you just prefer environmental sounds, this is the sleep podcast for you. You don’t even have to be into ASMR to enjoy episodes, particularly the nature ones, and the episodes in which the hosts talk about topics that interest them that day. Not unlike Scooter droning on about his boring sh-t, just listening to someone else talk about stuff you are not invested in is enough to turn your brain off and settle in for sleep. Try out Sleep and Relax ASMR here. If you’re not already, give a sleep podcast a shot and let me know if it helps you get a better night’s rest. Most of us are not able to get the recommended 7-8 hours of sleep every night, so it’s important we make the most of what we do get, or else our bodies start falling apart. If you’ve got your own favorite sleepy time podcast, let us know. We want to know how you get your best night’s rest.